Influencer marketing has rocketed to the top of every brands radar this past year. So where do you start in finding influencers for your product or brand? Finding the right person or team is the difference between selling out or closing up shop. One of the original online metrics for online reach Klout has a feature that was released in 2015 that shows top experts for almost any topic and does not even require an account. 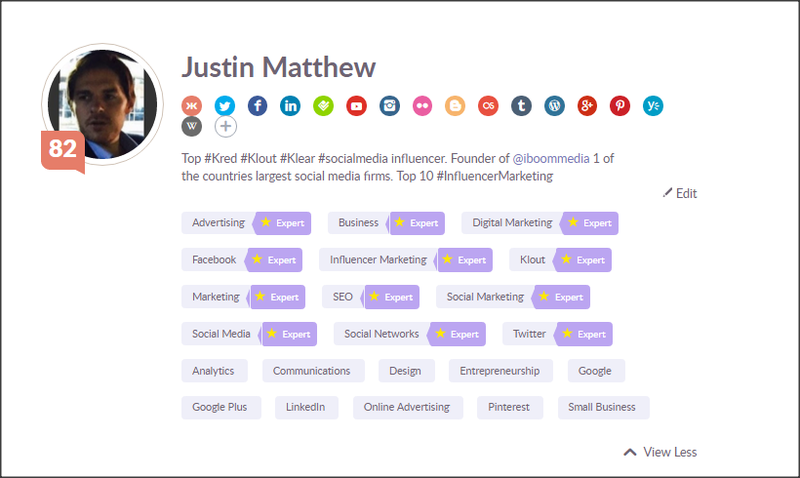 Klout shows topics for every user and if that person has authority on that subject it will be noted with a yellow star. Topics without stars are just areas of interest for that user. As seen below topics with yellow stars next to them means Klout has determined that person is in the top percent or even .01% of all users for that subject based on content, engagement and other factors. 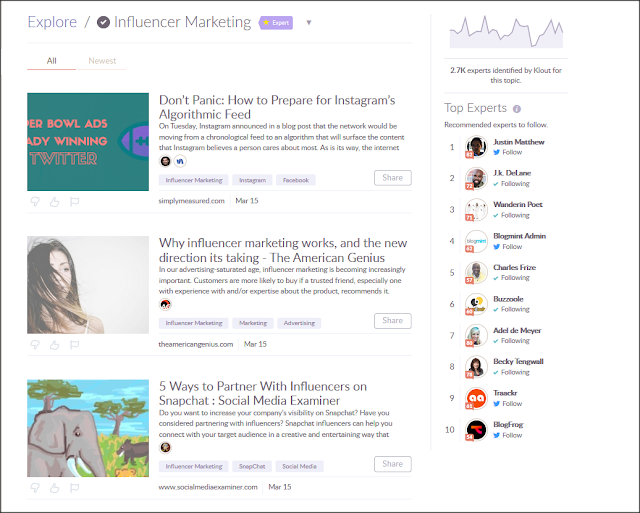 So now anyone can find influencers and experts in specific topics. Combining influence and expertise together is the key to future brand success. One of the largest issues for companies using influencer marketing is they don't know who to identify as an influencer. 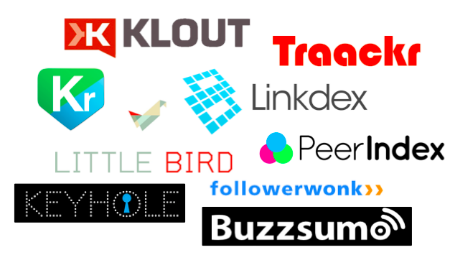 With Klout experts you can find expertise and identify the right influencers that you are looking for!